Close My Eyes was made for Film Four in 1991. It was released theatrically and received great critical acclaim, won several awards and ran in the cinema for 8 months. 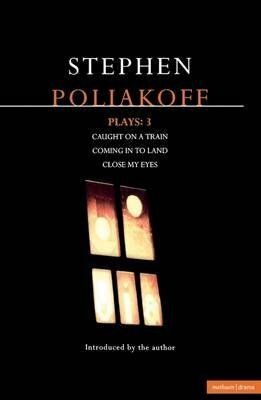 Inspired by one of Poliakoff’s early stage successes, Hitting Town, it traces an incestuous relationship between Richard (Clive Owen) and his sister Natalie (Saskia Reeves) during one blistering hot summer. Alan Rickman gives a remarkable performance as Sinclair, Natalie’s dominating husband, in this intense story, filmed in strong vivid colours. The locations in the film move from the lush Home Counties atmosphere where Natalie and Sinclair live, to the rebuilding of Docklands where Richard is working as an environmental activist, to the secretive world of mansion flats in central London. Canary Wharf is seen in the film as a ghost town, shrouded in scaffolding, as it rises on the edge of the Thames. The film was widely interpreted at the time as a metaphor for the last moments of Margaret Thatcher’s reign in England and was filmed in the summer of 1990, one of the hottest of the century. Among the awards the film won was the Evening Standard Best British Film of the Year Award. Available to download on Film4.